Textiles are intertwined with everyday life. Explore creating narratives using simple knitting techniques for art and sculpture. There will be a demonstration of basic knitting and embroidery techniques. The session includes a display of samples and sketchbooks, with discussions on dying/staining yarns or fabric, and creating mood and character through the positioning of sculptures. All levels of ability are welcome. 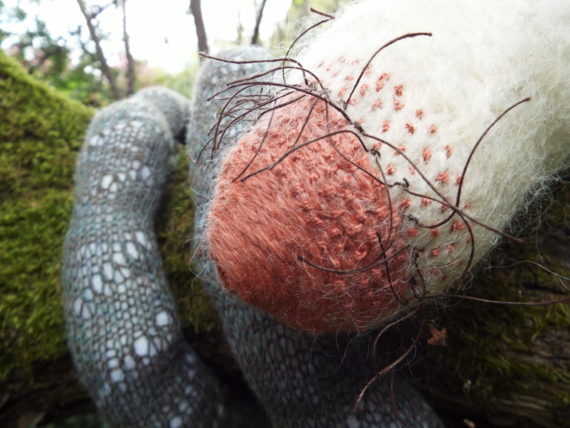 The workshop is aimed at anyone with an interest in textiles or soft sculpture, wishing to explore the artistic potential of knitting. The emphasis is on creating experimental samples, rather than a finished piece.